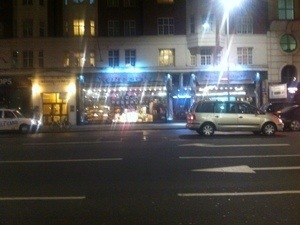 As a wine geek, living and working in London really is superb. Hot on the heels of drinking some excellent aged wine at the weekend, I had a truly mouthwatering tasting lined up for this week. At the start of the year Roberson sent out an email with their upcoming tasting events and this one stood out like a beacon. 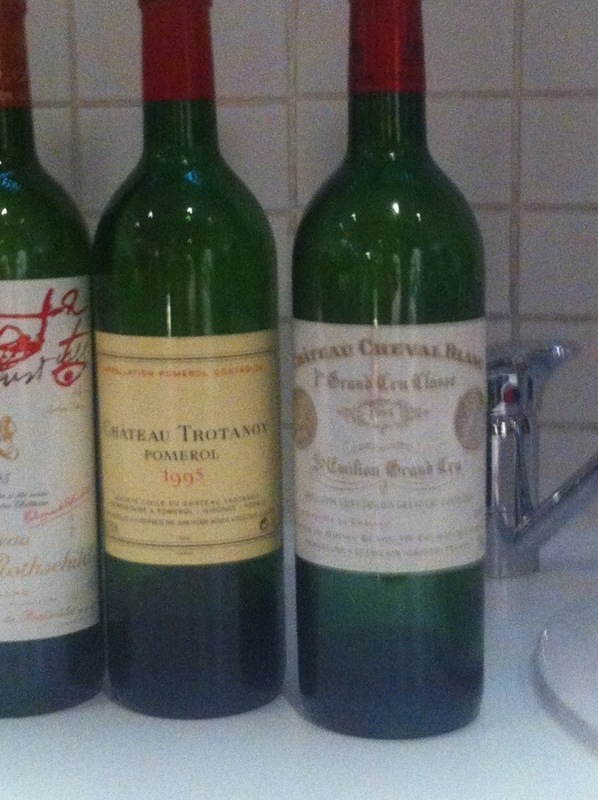 Bordeaux 1995 horizontal. 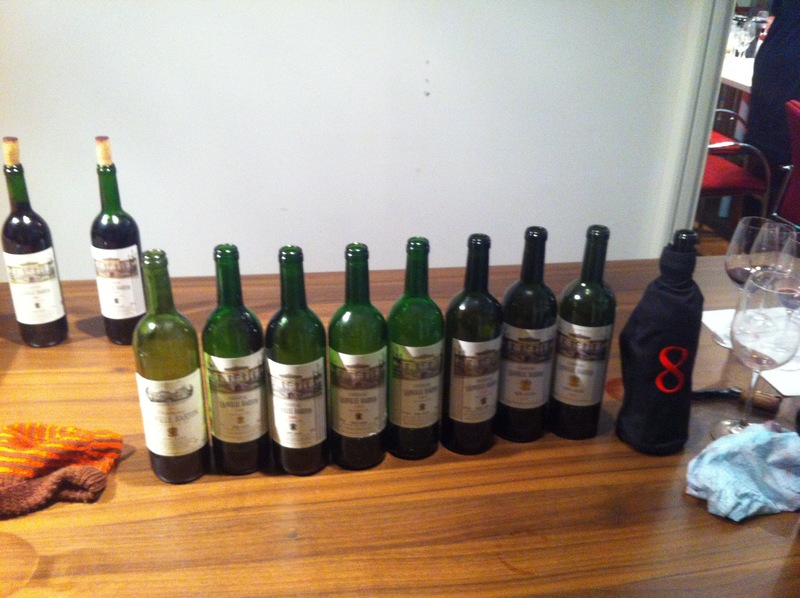 Before Xmas I attended a Leoville Barton vertical, where you taste a number of wines from a single property from different years. A horizontal is tasting wines all harvested in the same year from different properties. 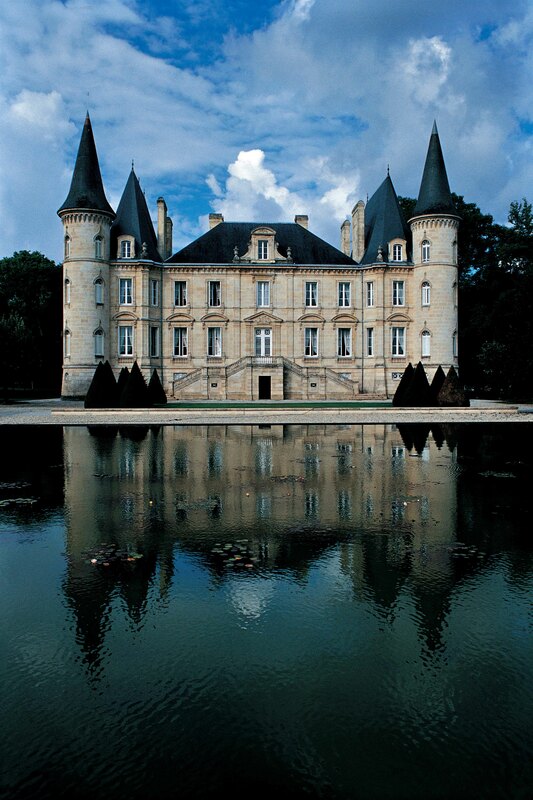 And what properties… Including Mouton Rosthchild and Cheval Blanc. The type of wines I could only ever dream of drinking. Until tonight. Overall the tasting was a delight with some excellent wines. Both of my favourites came from the right bank and Leoville Barton again showed its class and consistency. 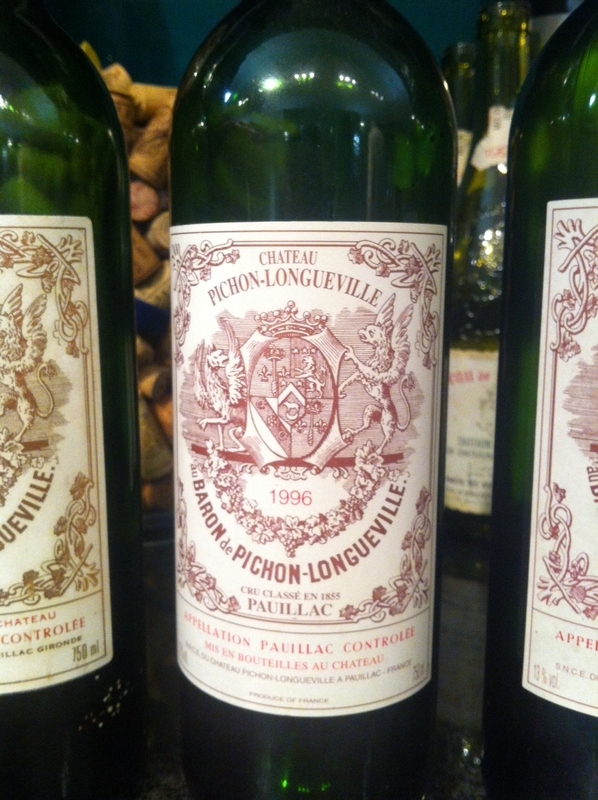 Although an excellent wine, I was hoping for a bit more from the Mouton – however I was in the minority as when the votes were counted for the best wine of the night the Mouton came out on top. 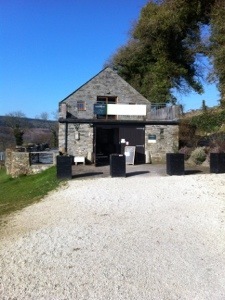 Don’t you dare go to Cornwall without visiting Camel Valley Winery. I mean it, I will hunt you down and demand an excuse, non of which will be sufficient justification for your error. 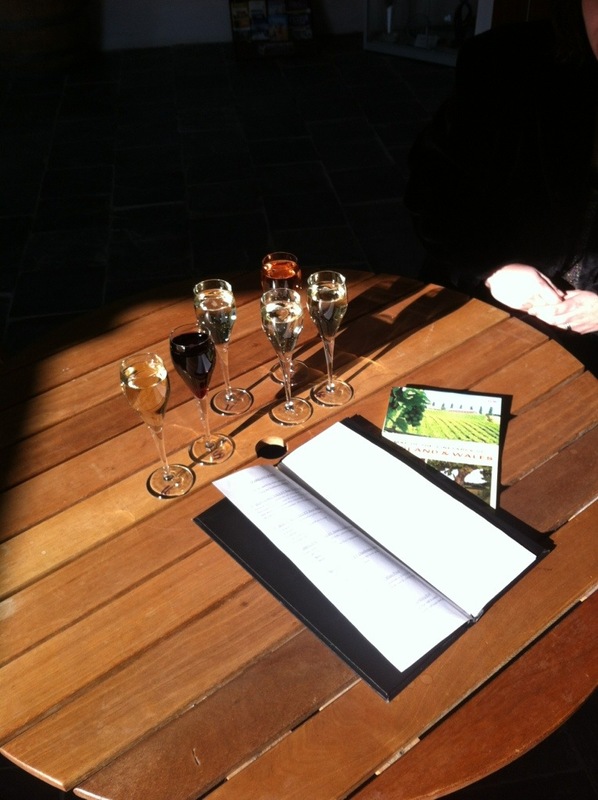 They are producing World class wine, especially in the Sparkling department. Bob Lindo is an ex-RAF pilot, who bought some vines in the Cornish countryside back in 1989. Over 20 years and countless awards later, Bob’s son Sam is now the winemaker (still with a little help from Bob! 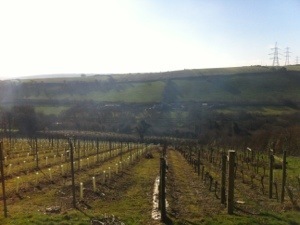 ), winning UK winemaker of the year in 2008, 2010 and 2011. Take a look at this link to check out all of the awards. The set-up is delightful, with a spacious tasting room and shop, serving bottles, glasses and tasting size samples of all the wines on offer. When we arrived this morning there was a huge bonfire at the entrance to the property; Bob told us this was where the evidence of all the recent pruning was being dealt with. We were the only visitors before noon and we worked our way through the sublime selection. I visited Camel Valley about 18 months ago and enjoyed the wines, but this time they were showing even better – I am honestly failing to see any reason to open a bottle of Champagne ever again – and I thought the tasting at Ruinart in Reims was jaw-dropping. Visit the website and please don’t force me to hunt you down and ask why you didn’t go! I love tasting wine with winemakers. I love their energy, their enthusiasm and, most of all, their passion. Quite often you get a sense of a winemaker from tasting his or her wine, but also you can be swayed into unwarranted compliments, influenced by the context. 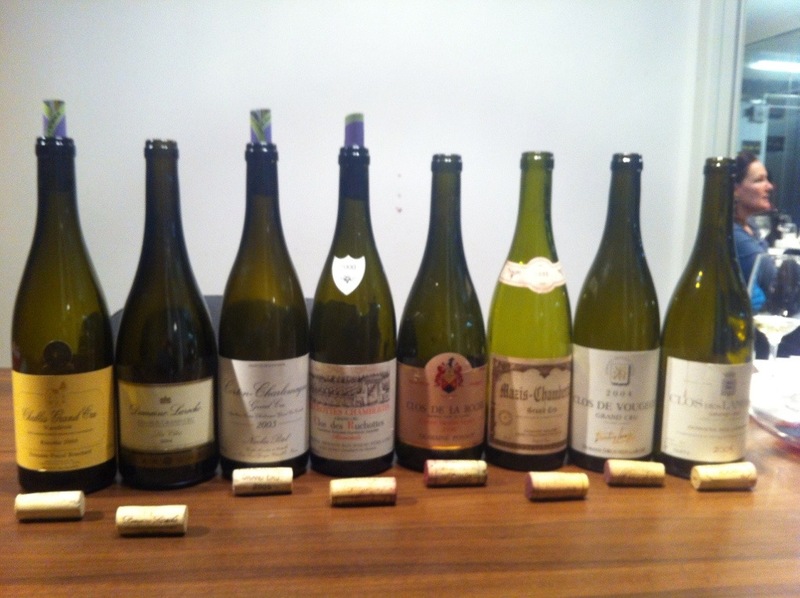 Earlier in the week Roberson put on a very interesting and stimulating tutored tasting (link to upcoming events). The two winemakers presenting their wines were California trailblazers Raj Parr and Jamie Kutch. They are part of a new Californian collective who want the US and the rest of the world to reevaluate Californian wines and to demonstrate how the area can deliver elegance and finesse, as well as brute force and power. In Pursuit of Balance (web link) “seeks to promote dialogue around the meaning and relevance of balance in California Pinot Noir and Chardonnay”. To an extent the wines presented are definitely on their way to accomplishing this. However, I did find some of the Pinots a shade underwhelming and in need of some of that power that the grape can deliver, in order to really achieve the balance the wine makers are searching for. 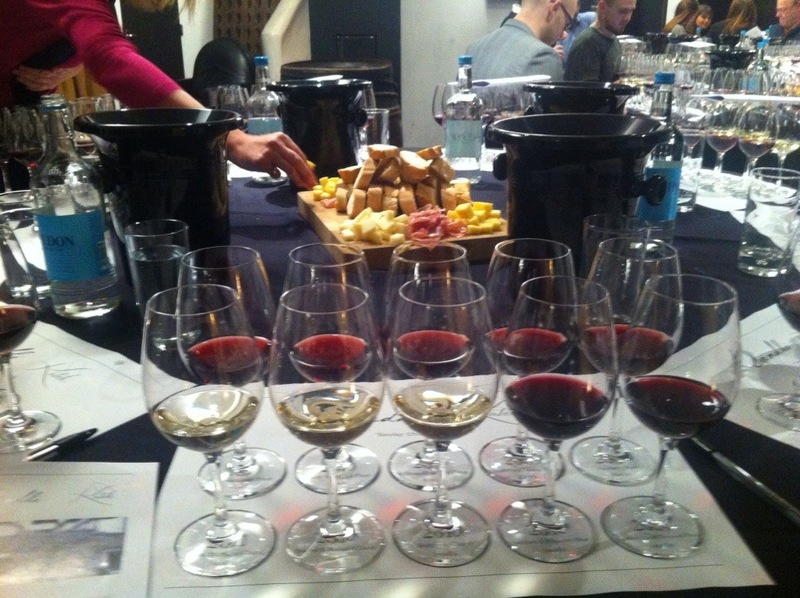 The wines were served in two flights, starting with Raj’s wines as he was presenting both Chardonnays and Pinots. I really wanted to love the wines as much as I loved the stories that supported them, but only one of the flights really shone for me… And at a price. Focussing on selected vineyards from the Santa Rita Hills in Santa Barbara County, Raj is in love with the Chardonnay grape and what it can offer. 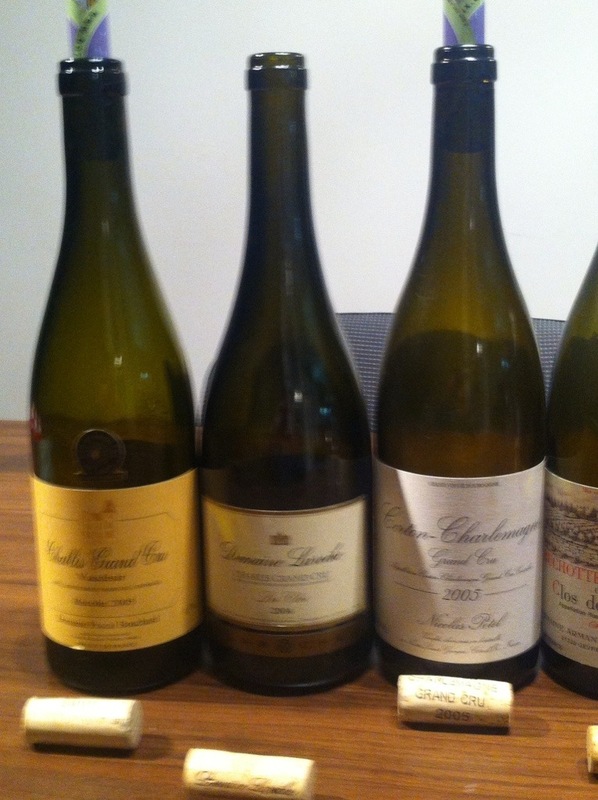 The three Chards on show were really delicious and delivered a lovely balance of fruit and salty/savoury. 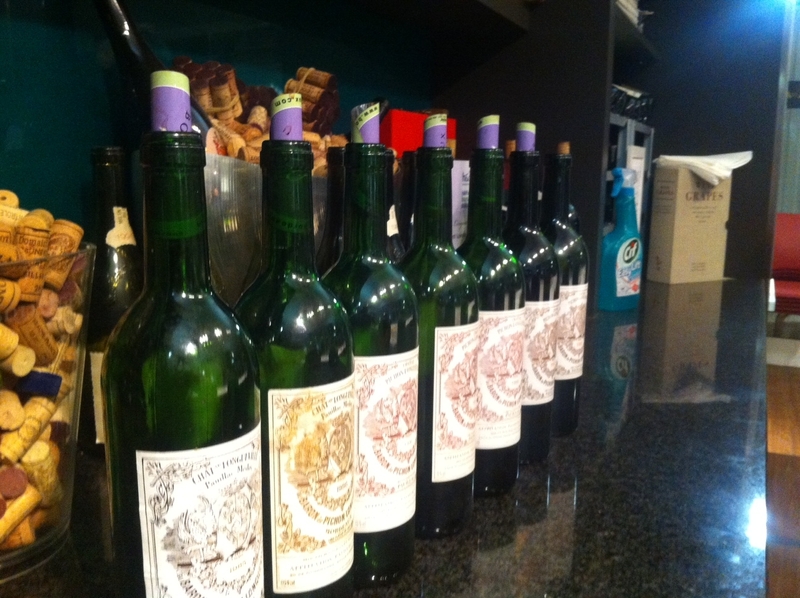 These wines are produced in a minuscule scale (70 cases of the Bentrock! ), hence the hefty price tag, but there is much to enjoy here. The Pinots also delivered bright fruit and energy and if they were half the price I would love to add a few to the cellar. Jamie is an ex Wall Street trader who followed his dream out west. He is all about Pinot and really wants to show how elegance and balanced can be delivered in California. Obviously a huge fan of Burgundy, Jamie is an experimenter, which is quite a tough task when you don’t have a great deal of grapes to play with! He hasn’t reached where he wants to be yet but he will get there… And soon. I would like to say a massive thank you to Raj and Jamie for sharing their passion with us and also to Roberson for putting on such an interesting and thought provoking evening. 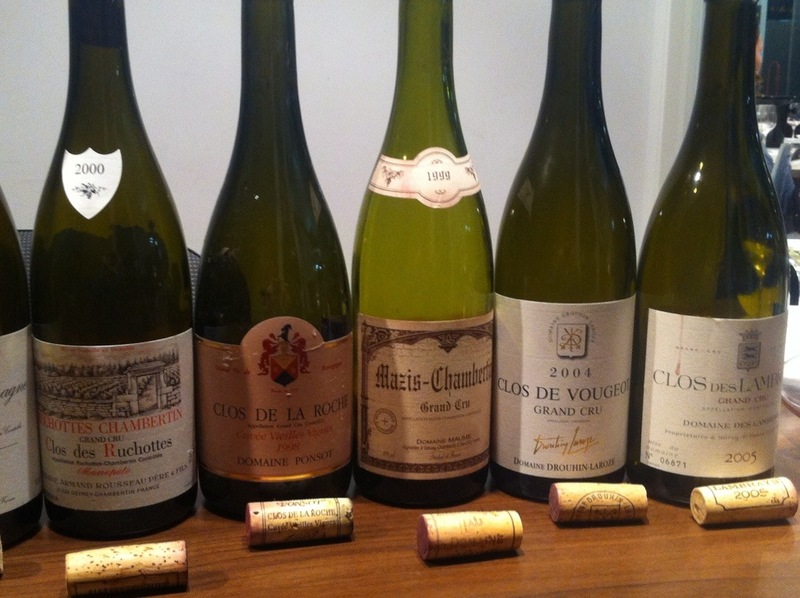 The second part of this week’s Burgundy love-in took me to a fabulous tasting of Grand Crus at the West London Wine School. As usual Jimmy had put together a superb array of fine wines as well as an informative, interesting and amusing history lesson on the great wines of the greatest wine region in the world. Seriously, if you do get a chance then check out the fine wine tasting diary (West London Wine School) and book your place; you won’t be disappointed. The tasting included Chardonnays from Chablis and Corton, while the Pinot Noir selection took us on a tour of Gevrey Chambertain, Morey Saint Denis and Vougeout. You all know by now how much I adore the wines of Burgundy but this was serious stuff, and as you’ll see the scores for the wines reflect this… Nothing under 90 points! 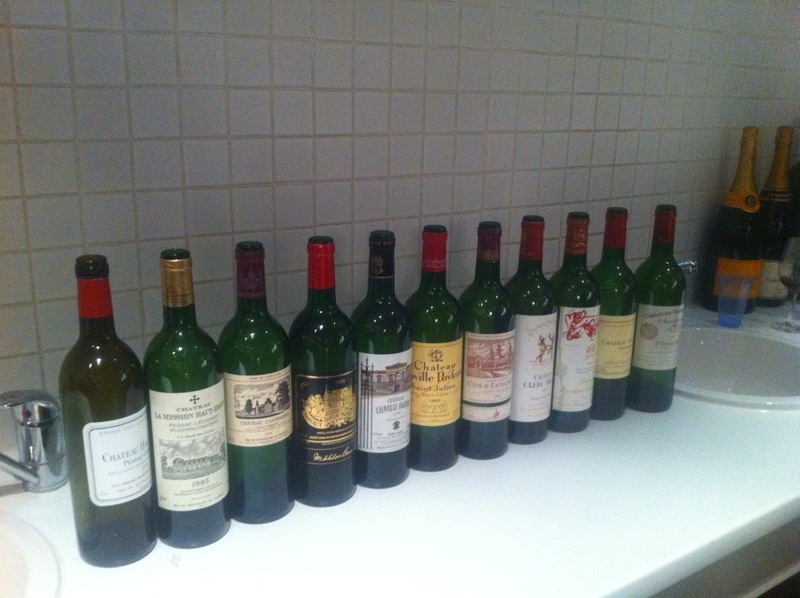 But before the detail, let’s give this tasting some context. Grand Cru wine accounts for a mere 1.4% of total wine production in Burgundy. This is one of the reasons for the often astronomical prices – it’s simple supply and demand. However don’t be fooled into thinking this is the only reason for the prices, because as with most things in life, you get what you pay for… I just wish I could afford to pay for some of these magnificent specimens!